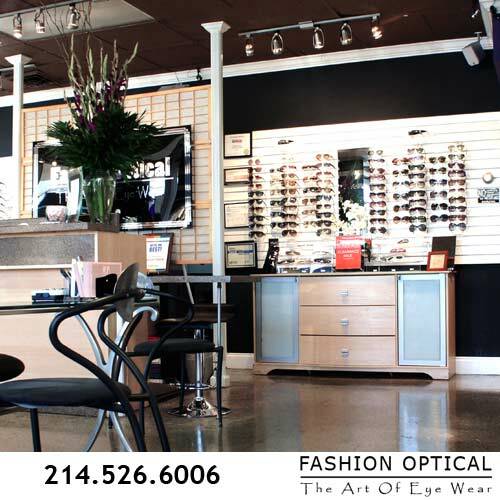 Born in the generation of look-a-like, box optical chains and luxury optical’s who’s attitude exuded high prices and exclusion, Fashion Optical-The Art of Eye Wear was the brain child of Morgan Gianni and his partner Dr. Randy Atwood. 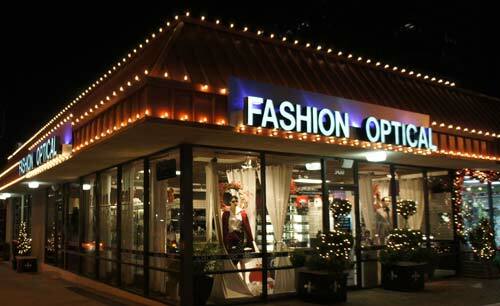 In 2005, they signed the lease for the Optometrist office next door to the then Fashion Discount Optical. After a short while Morgan noticed that the store next door could be significantly better since it’s worn down look was out of character for the luxury neighborhood. In 2006, they purchased the optical and joined the two as one, with a complete overhaul and remodel, discovering, immediately, seventy year old marble hidden below pink southwestern tile floors, which they took as a sign of good things to come. Little did they know how good. Morgan had a genius concept to create a store that was inclusive in every aspect with the look of luxury, but, with very modest prices so all could afford his eye wear. He created the look, the design and every concept of Fashion Optical and aptly named it “The Art of Eye Wear.” He believed that eye wear is an art; a blending of spatial design, colors, hues and a designer’s vision from concept to creation. Morgan has been, and is, a pace setter. No optical, ever in the history of Dallas-Ft. Worth, had created fashion shows to show case collections in eye wear. Hosting and producing over eight fashion shows to date with the smallest of parties being a mere seven hundred people in attendance to well over a thousand. Just so you know the kind of success we’re speaking of, the previous owners highest volume year, in fifteen years, was three hundred seventy five thousand dollars. Under Morgan’s faithful dedication to his customers and his untiring direction the store, the very first year, grossed eight hundred thousand dollars. In 2007 Ernest Perez became the Store Director and together, under Morgan’s leadership, has continued to post record gains of no less than two hundred to three hundred thousand per year! Quite an achievement no matter how you measure it. Morgan has never lowered his expectations on delivering the finest in customer service with every one receiving a cheery hello upon entering Fashion Optical to champagne served Saturdays. For Morgan and the staff money is not the measure of success but instead it’s the experience and satisfaction of the customer. Under Morgan’s expert shopping for eye wear, his whimsy and sense of something fun Fashion Optical has gained a wonderful reputation for having the coolest eye wear from conservative to exotic and to world wide imports. It’s eye wear like most have not seen before and the best part has been, it’s very affordable for anyone. 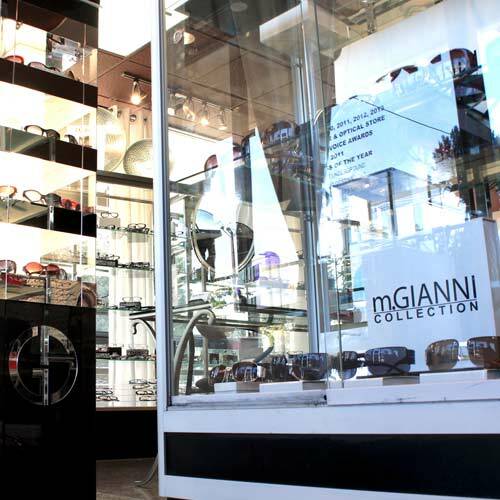 In 2012, Morgan launched m.GIANNI, a sunglass collection drafted and designed by Morgan using only the very best acetates which were customized and produced by the famous Marzuchelli factory in Italy. His collection is worn by many Hollywood celebs including Mario Lopez, Maria Munoz, Vanessa Williams, D’Andra Simmons and Melissa Wycroff and many more. 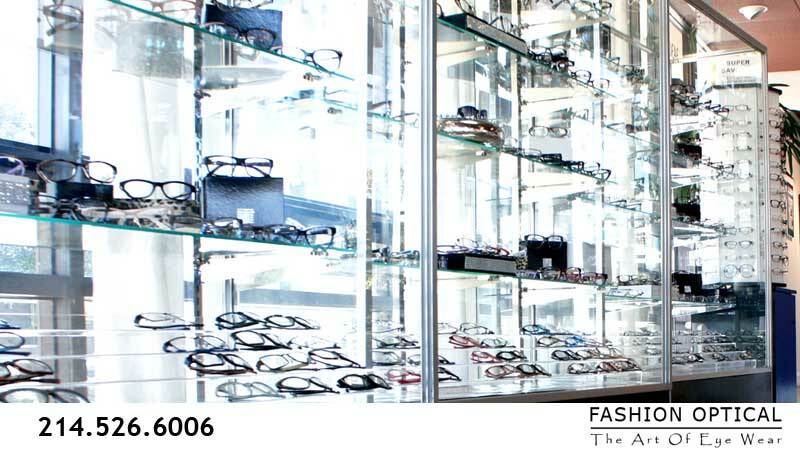 We hope you will come experience Fashion Optical-The Art of Eye Wear for yourself. Please accept this as your own personal invitation.